When we ask our dogs to come, sit, stay, or behave, do they understand what we are saying or are they reacting to the tones in our voices? Most of us believe that our dogs are quite brilliant, and understand every word we say. We do know that our dogs are in tune with our body language. Still, that doesn’t answer whether they know the exact meaning of our words. A new study from Current Biology shows our dogs are listening and may in fact understand the emotions behind our words, and that they differentiate and process various components of our words. “These components appear to be processed in different areas of the dog’s brain,” says Victoria Ratcliffe of the School of Psychology at the University of Sussex. 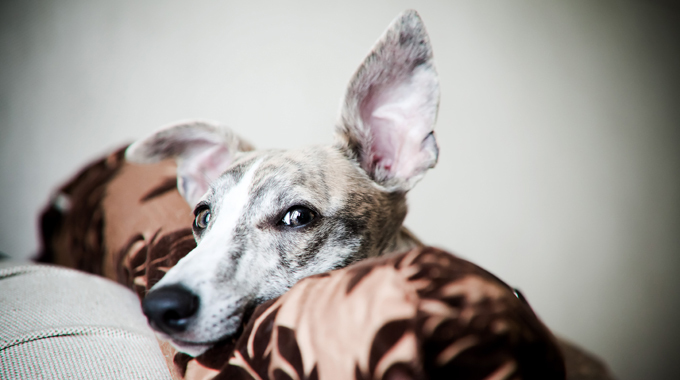 Prior studies shed light on how dogs process the vocalization sounds of other dogs. Ratcliffe and her supervisor David Reby say they wanted to study whether dogs show similar biases in response to the information transmitted in human speech. The sounds the dogs heard were from their pet parents saying simple commands that were stripped of emotion. Other times the words were garbled and were difficult to understand. These garbled words, however, had strong emotional tones. The dogs turned to the right when they listened to words without emotions. The left hemisphere of our brain processes speech — or the meaning of the words without emotion. When the dogs turned their heads to the left, it was the right hemisphere of the brain that processed the content. That is when they understood the emotional tone behind those words. When the dogs heard static, they didn’t turn their heads in either direction. “This is particularly interesting because our results suggest that the processing of speech components in the dog’s brain is divided between the two hemispheres in a way that is actually very similar to the way it is separated in the human brain,” Reby says. Most pet parents know that while their dogs might not understand everything they hear, they are great listeners.